Thanks to God and your support, 2016 has been an incredible year! 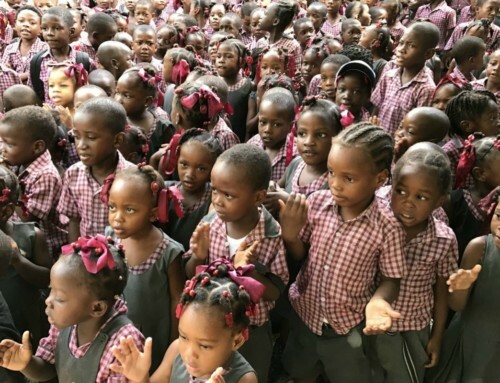 Schools for Haiti started our eleventh year this past September. In 2016, we added two new elementary schools and a high school at our Kelly school. We now have five elementary schools and one high school with over 1100 students. We faced the challenge of feeding these children every school day by building and improving our kitchens. We expanded and improved our curriculum which resulted in higher student scores on the Government National Tests. As you know, Hurricane Matthew hit the island of Haiti in early October. Thanks to God, we did not feel the full impact of the storm, but received high winds and heavy rainfall. This created problems for some of our families in the mountain areas due to mudslides. Many people were affected as it destroyed a few homes, vegetable gardens and farming. The good news is that none of our children or families were hurt by the hurricane. Many of you inquired about helping the people that were affected by the hurricane. We gratefully received over $20,000 from you that was solely used to supply these families with much needed food. To date, we have distributed 26,000 pounds of food to families in need. The original Montrouis School, now The Grace Christian School, has begun its second year in their new spacious facility. We have repainted the school, added a clean water system, upgraded the bathrooms, kitchen, and added a seventh grade class. We are in the midst of installing a solar system that will provide power for lights, fans and electronics as there is no local power. We will begin adult evening classes in September 2017. This school is sponsored by Grace Family Church in Tampa, Florida. The Kelly School is located in a small village, Sweet Petit Mary, in the mountains Northeast of Pierre Payen, about 12 miles from Montrouis. 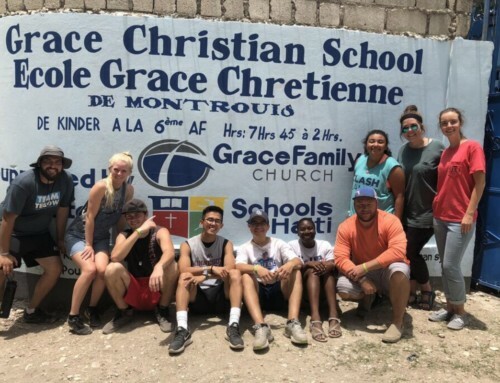 We have added a high school to the Kelly School, expanded our kitchen facilities and are in the process of installing a clean water system and remodeling the bathrooms. This summer we are installing a new roof on one of the school buildings. 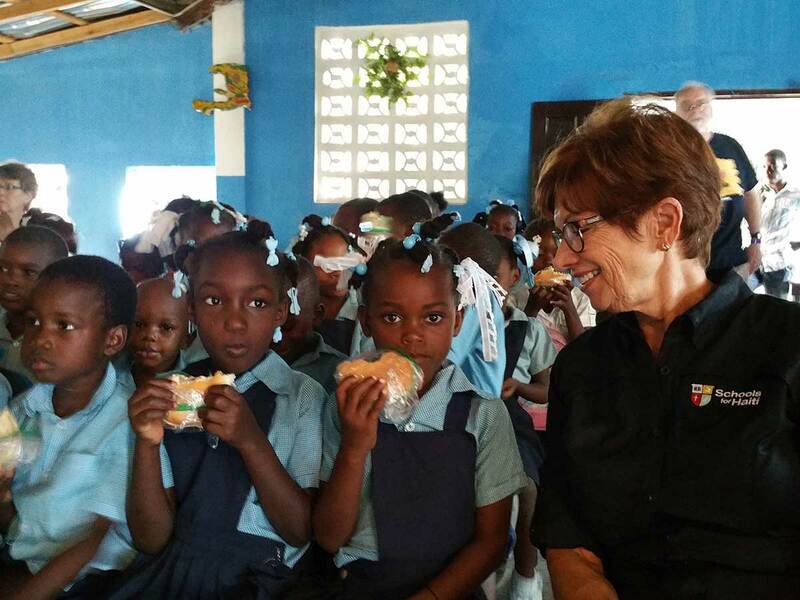 We took over the Hope Christian School in Montrouis which was about to close due to a lack of funding. It has large classrooms, a soccer field and a purified water system. A new kitchen, windows and doors were installed last summer. We are almost finished installing a solar system which will provide much needed power to the facility. This school is sponsored by Chesapeake Christian Fellowship in Davidsonville, Maryland. Our newest school, Sharpe Christian Academy, located in Pierre Payen opened in September 2016. This was an established school with a wonderful faculty and facility with many individual classrooms. It had lost its funding. A new kitchen has since been added and we are remodeling the bathrooms. This school is sponsored by Mike & Marna Sharpe from California. The Nazarene Church in Montrouis, which houses our North Montrouis School, two years ago offered us their waterfront to highway property to build our self-sustaining Vision Complex. After a 24 month process, we finalized a 99 year lease on December 14. The Vison Complex will include a community center, an elementary and high school, a 14 guest room mission motel and two independent children’s homes. It will employ 48 Haitian workers and be self-sustainable from the revenue generated by the motel and community center. In 2016, we had five mission trips and three vision trips. The mission trips, usually seven days, have been a blessing to our children and to the mission team members. We shared the word of God. 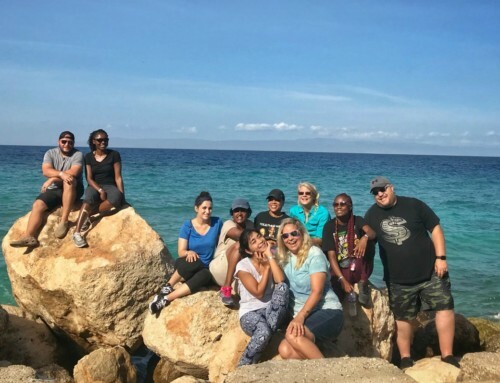 In addition to the children’s vacation bible schools, beach days, skits, soccer and showing love to our children, we also painted, built kitchens, installed clean water systems, held a sewing clinic for Haitian women, distributed food to the needy and had our first dental clinic, pastors conference and a three day revival. The four day vision trips share our passion with people that have an interest in partnering with us. 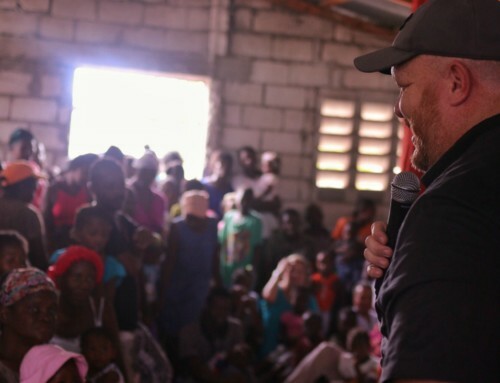 Please welcome our newest member of the Schools for Haiti Team, Matt Mayer. Matt is a great addition as he has extensive experience working with Christian charitable organizations and loves children. In 2017, please join us at one of our two Fundraising Dinners. The Madison, Wisconsin dinner is on April 22. Please contact Doug or Lois Fearing 608-443-2595 for details, The Tampa, Florida dinner is on October 14. Please contact Patricia Thompson at 813-505-9851 for details. This year, we have planned six mission trips and six vision trips. 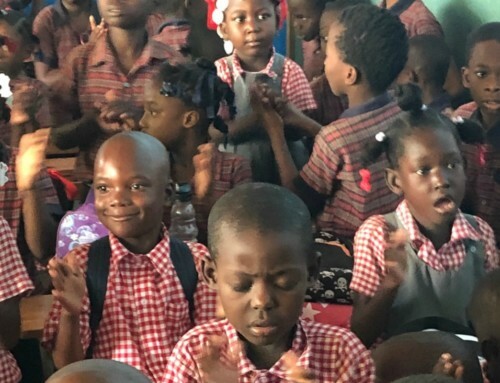 If you have an interest in joining us on a trip or would like to support one of our students or schools, please contact Matt Mayer at matt@schoolsforhaiti.com or 813-995-1044 or Gil Bailie at gbailie@schoolsforhaiti.com or 813-220-3433. Please visit our website at www.schoolsforhaiti.com. We look forward to another great year, Thanks to all of you!